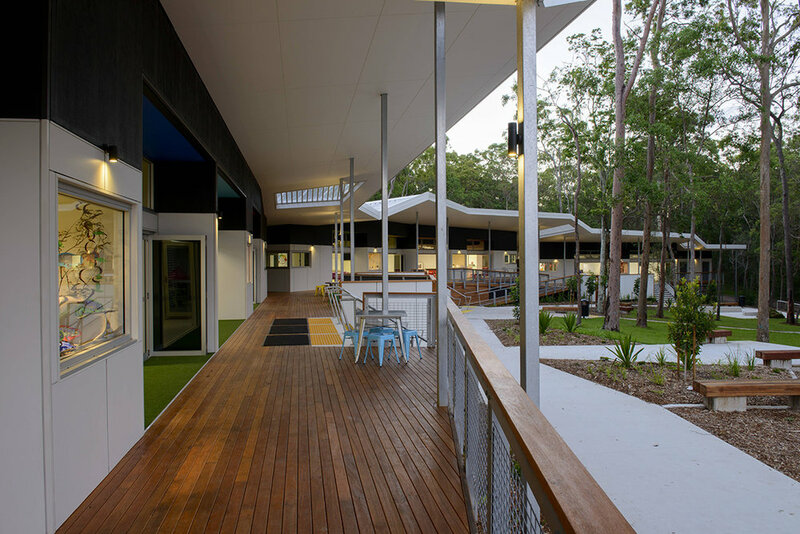 Built to accommodate Year Seven students as part of the state government initiative to migrate year seven into high school, the Kimberley College Flexible Learning Area has been designed to foster the College’s progressive teaching philosophy that learning is achieved through curriculum teaching, student collaboration and engagement with the surrounding environment. 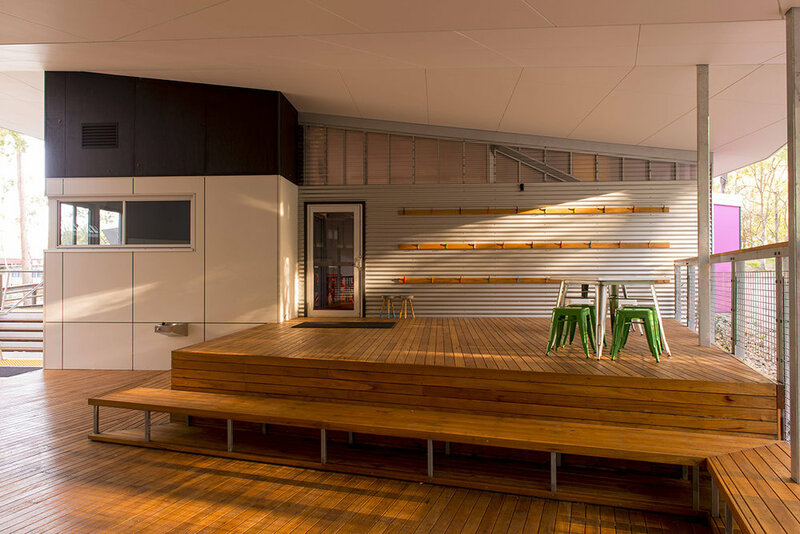 The building's architecture reflects this philosophy by combining adaptable indoor learning spaces with flexible outdoor spaces, large enough for full class groups, giving students many varied opportunities for interaction, performance, collaboration and connection to nature. 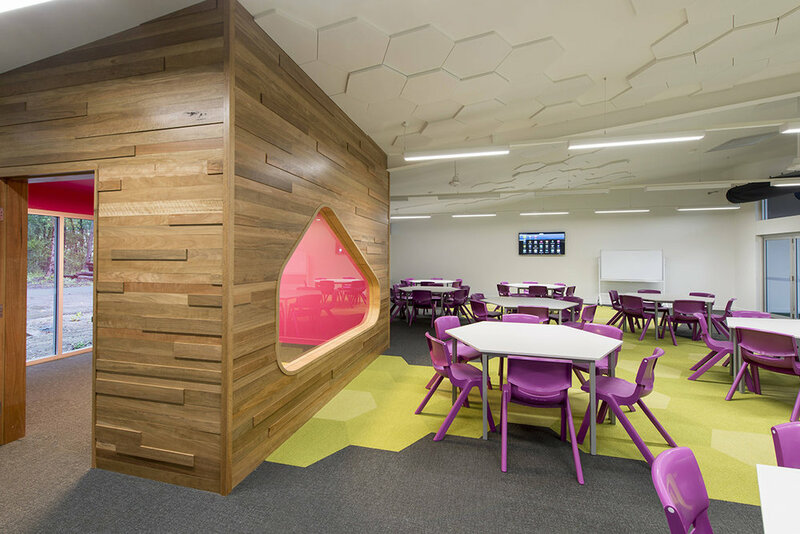 The Learning Area includes four flexible double learning areas, associated teachers' offices, small group rooms, storage areas and ancillary workrooms. 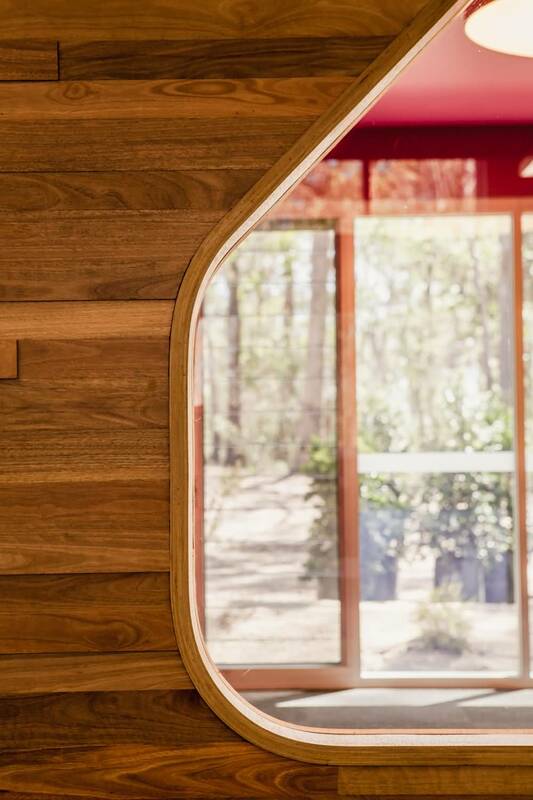 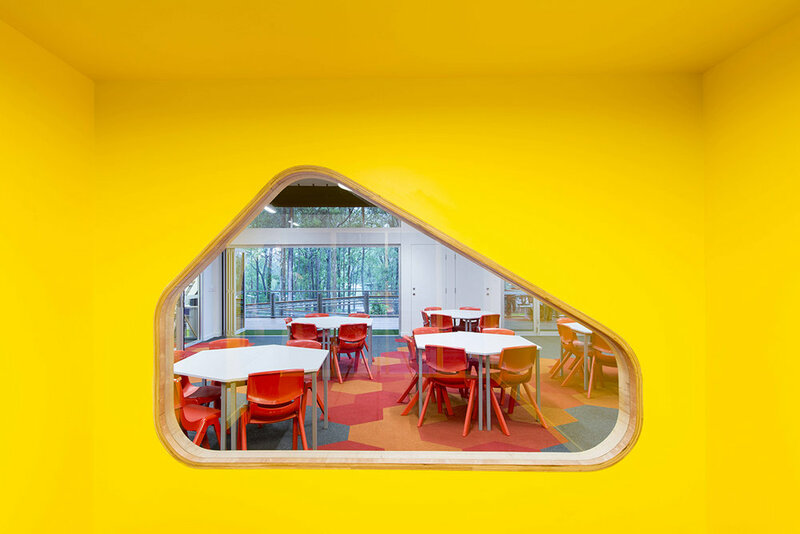 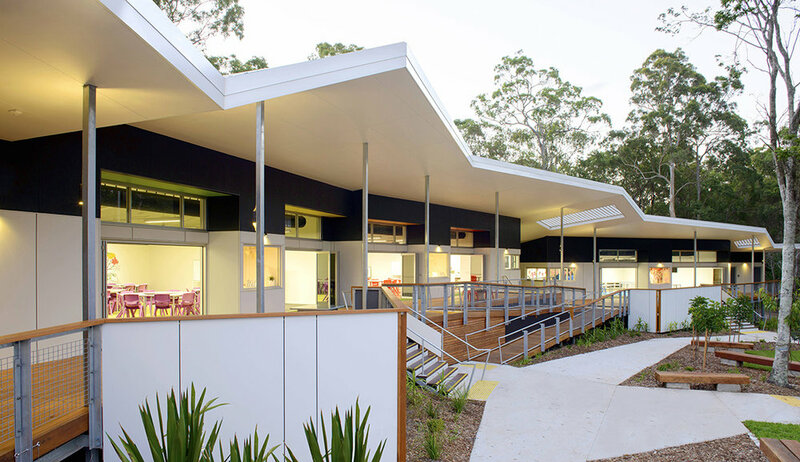 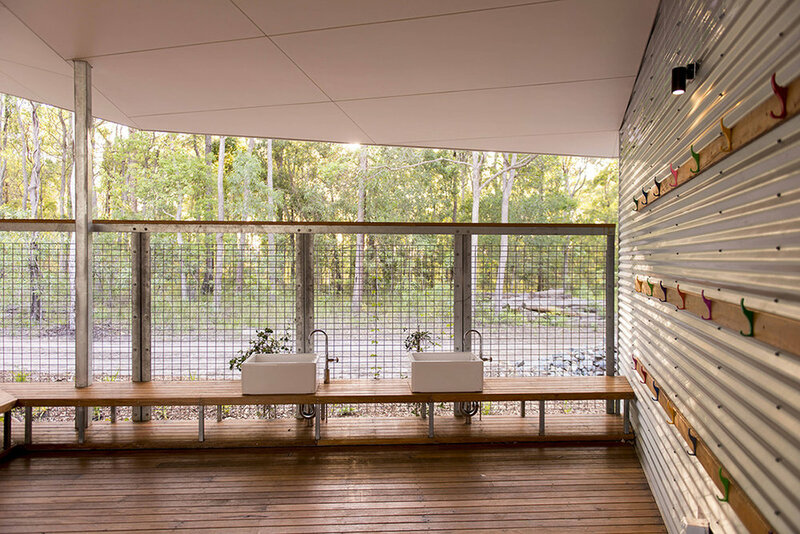 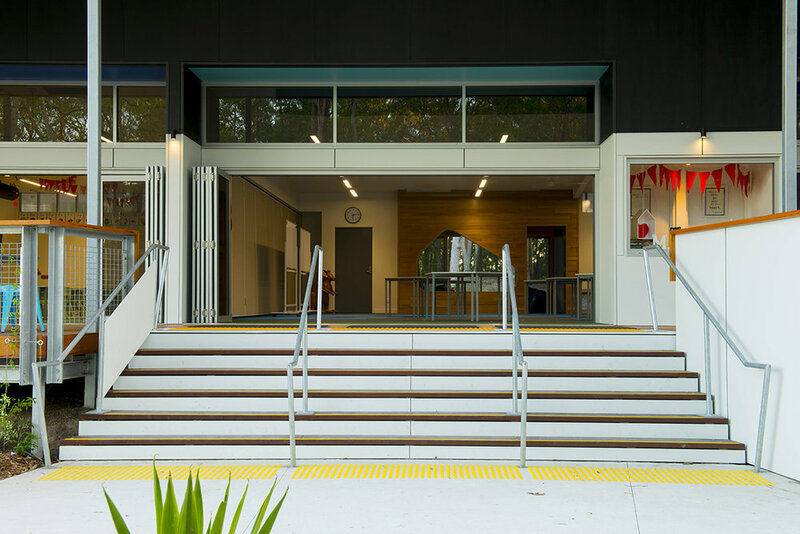 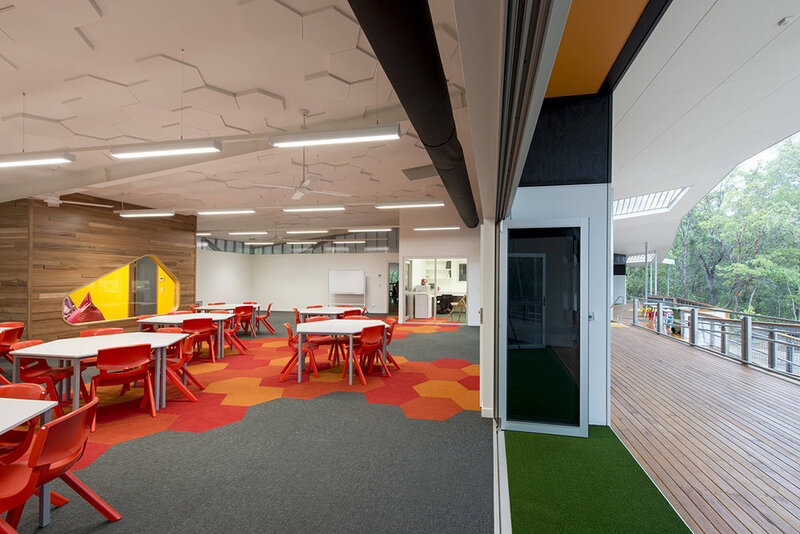 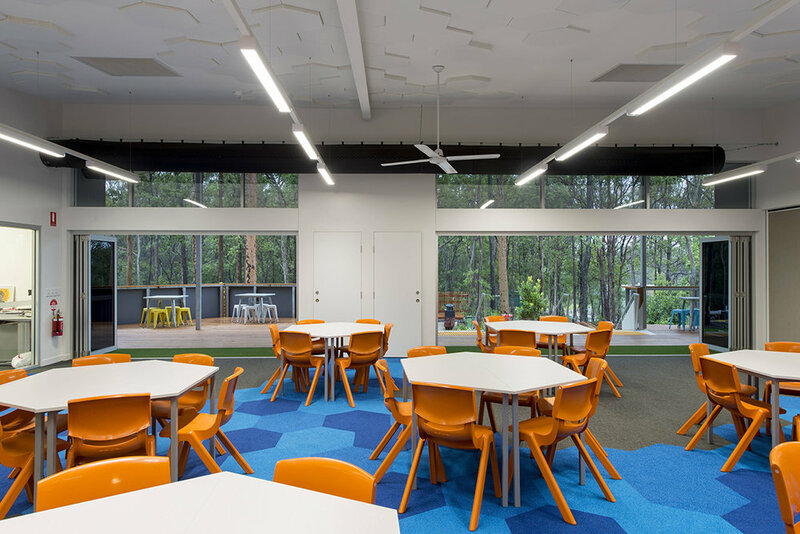 Located in natural bushland with selective clearing required for the new build, Guymer Bailey Architects employed a variety of sustainability principles to create a stimulating learning environment with minimal ecological impact. 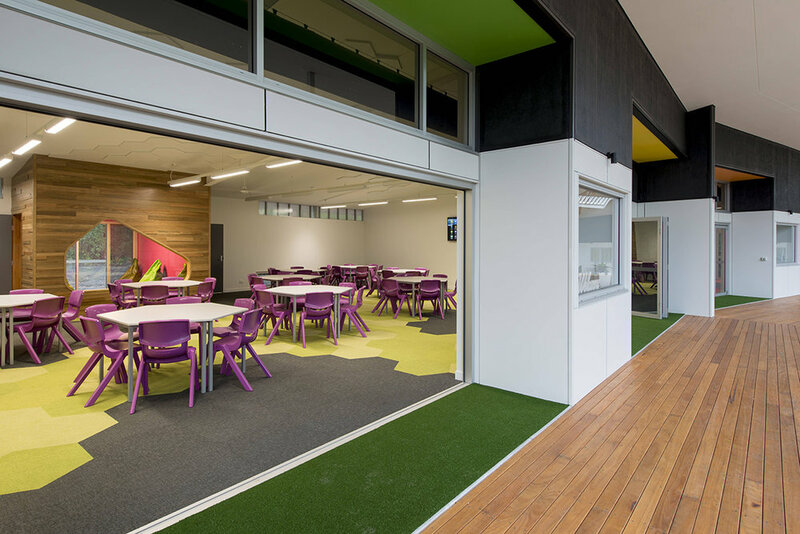 Built from locally sourced materials where possible, the Learning Area features rainwater harvesting, on-site sewer treatment, high performance glazing, a weather station and building management system, and zoned energy efficient lighting with movement sensor operation.